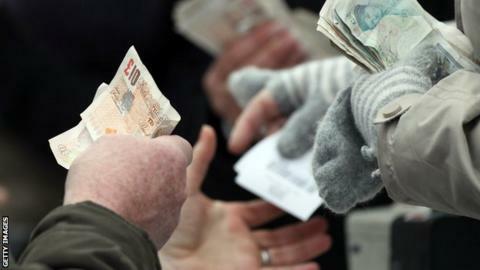 English football's anti-corruption boss wants tougher new laws to help stamp out match-fixing. The Football Association's Darren Bailey says existing legislation is not "fit for purpose" and has backed Uefa president Michel Platini's call for a new match-fixing offence. "The specific charge of 'cheating at betting' doesn't really do the job that we need," Bailey told BBC Radio 5live. The FA's head of governance also wants more funding to fight the fixers. "It does seem a bit odd that we make an investment in excess of, I believe, £7m in anti-doping in the UK but we don't make the same level of investment in integrity," he said. "Some form of funding mechanism that allows sports to protect their integrity, which is fundamental to their future viability, would be a very good thing." An amendment to the Gambling Act is currently going through Parliament. If passed, it will force off-shore bookmakers operating in the UK to be licensed. There have been calls for the tax raised from such a move to be put aside in order to fund an anti-corruption unit. Bailey also insisted there was "no complacency" within his organisation on the issue of match-fixing. "I do think the legislation that we currently have in place, the Gambling Act, isn't fit for purpose," he said. "So we increasingly have to look back at non-sport specific legislation in order to deal with these things. I think there is a place for there to be a specific charge." Bailey, who has operated as legal counsel for the International Rugby Board, believes there is an appetite within British sports governance to curtail certain varieties and forms of bets offered by bookmakers. Uefa, the governing body for football in Europe, have distributed an 11-point plan to combat match fixing to all 54 European football associations. They hope this move will create consistency on how the issue is dealt with across the continent. "What I would say, in relation to these more novelty bets, is that there will be a push for sports to have more control over bet types," he said. "When there is that high risk - and when it does actually place people into a difficult situation and individualise something too much - then there is a place - similar to what happens in France - that you can regulate and control the bets taken." Bailey also feels players, managers and officials are getting the necessary warnings and information about match-fixing. "I have absolute confidence and trust in all the participants involved in the game to do the right thing," he said. "I am as confident as I can be that the mechanisms are in place that will ensure the game will be as clean as possible." When is 'match-fixing' not match-fixing? Read more on Football fixing claims: When is 'match-fixing' not match-fixing?